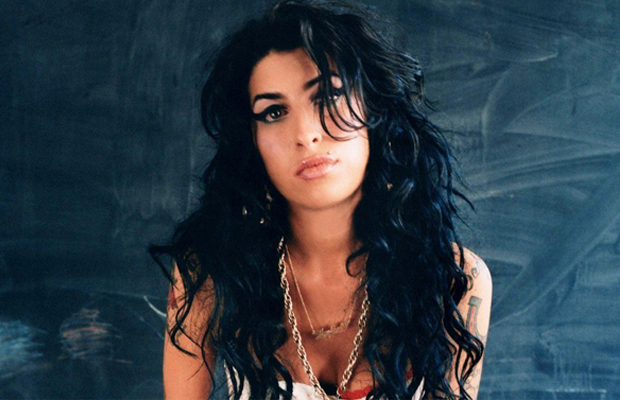 i was introduced to amy winehouse’s music about 4 years ago, shortly after she released Back to Black in late 2006. at the grammy’s the following year, she took home five awards – best pop vocal album, song of the year (rehab), best female pop performance (also rehab), record of the year as well as best new artist. that was easily enough to pique my interest (even though, at the time, i was ticked that she beat out justin timberlake in a couple of those catagories). Back to Black is one of my all time favorite records now. soulful and gritty, yet upbeat and polished. produced by mark ronson, it features that oldies/60’s vibe that amy embraced and nailed better than anyone i’ve heard to date. i quickly sought out her first studio album, Frank, and loved it too. now, i don’t know amy winehouse personally. in fact, i know very little about her actual life outside of her music and the persona she adopts in her songs. however, i would venture to guess she is one of the more honest musical artists of the last decade. when she sings about drinking and doing drugs, going to rehab, fighting the darkness of depression, falling sadly in and out of love, i believe her. so when i first heard that she had died, i wasn’t shocked. i don’t think any of us were shocked. that was initially what was so sad about amy’s death – we really weren’t that shocked. it didn’t hit us hard in the face (unlike steve jobs’s death may have) because it was somewhat expected. the life she was living was always going to end that way…as sad as it is to say that. that was the real tragedy – not that a 27-year old woman had passed way too early, but because we weren’t surprised by the news. but over the last few monthas, as i have reflected on her short career, i’m finding myself deeply saddened by it. sure, a lot of my sadness is strictly selfish; as a consumer of her music, i am really distraught that i won’t have the opportunity to digest her material anymore. she had just won 5 grammys 3 years earlier and was riding a steep track up the music success ladder. to know that she won’t ever get to put together a “junior” album is a real shame. selfishness aside, i’m still plagued by a sadness that i didn’t expect. i think about the ultra-talented 20-somethings that i am close to – whether that talent be musically, artistically, relationally, athletically, whatever – and i start to realize what a tragedy this loss truly is. the world lost a truly talented individual; one who had already contributed something beautiful to society, but – in the chaotic and confusing world we live in – had her life cut short. i wonder where amy’s soul is today. i sure hope she is in Heaven, but i really don’t know. it’s not my place to know. it’s not my place to judge her lifestyle and bestow salvation or not. all i know is that amy winehouse would make a terrific angel, and if God has no timeline and if it’s not too late to put in a good word – i pray she is with Jesus now. Previous Previous post: jacob’s well. Next Next post: yeti found in siberia.